NC State startup Prime Fit, winner of the Sweat Equity Challenge, is creating a mobile application using an innovative measurement method to pinpoint the user’s exact body size and help connect them to shopping tools using their Prime Fit. The team contacted me to design their mobile interface and develop a prototype to showcase at upcoming conferences. 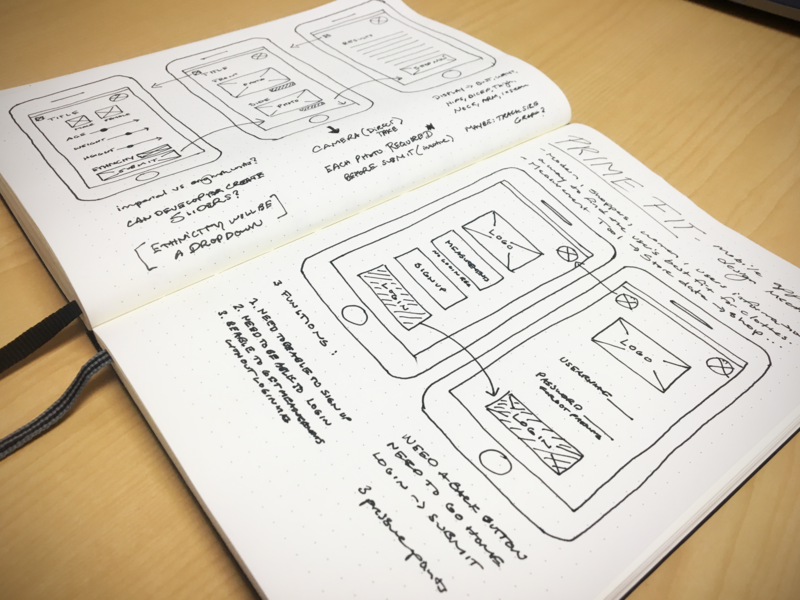 After creating wireframes and high fidelity mock-ups using Sketch, I used Invision to develop an interactive prototype. Through research and client interaction, I decided to utilize a bright color gradient from pink to purple with a vibrant light blue as a secondary color. All in an effort to develop an urban look to encourage consumers to utilize their Prime Fit to buy merchandise. Simple, big boxes show a clear path to the following screens with bold text pointing to important materials. Common icons such as the back arrow and collapse menu to help the user navigate freely. Through use of Invision App, I developed a working prototype that is embedded to the right. Click through the application and see how it functions. This is a first draft mockup that will be reiterated as user studies are conducted.